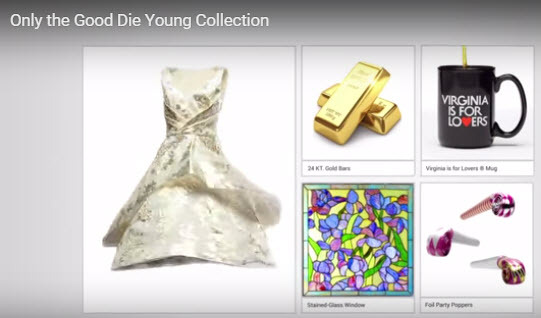 eBay just unveiled a delightfully creative online ad campaign to showcase its endless wares. In these “Shop a Song” spots, products playfully dip in and out of the screen as a tune plays, each item somehow matching the lyrics. In the “Only the Good Die Young Collection,” when Billy Joel croons, “You got a nice white dress and a party for your confirmation,” the video shows in quick succession a white formal dress, foil party poppers, and a rubber “Confirmation” stamp. • “My House,” by Warren G.
The spots nicely highlight the site’s offerings in a manner that’s short, palatable, and, most importantly, fun. Previous Previous post: What do millennials want?